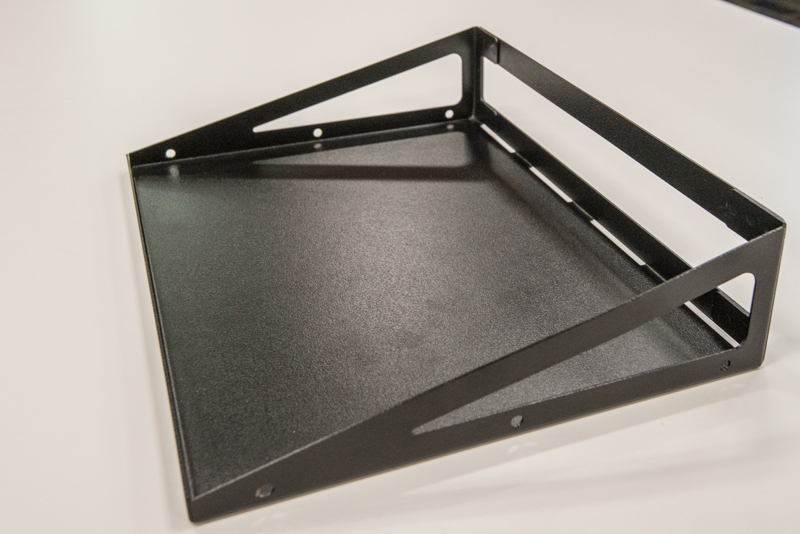 Long Product Description: Handy 9″ x 12″ shelf mounts to Bin Panel. 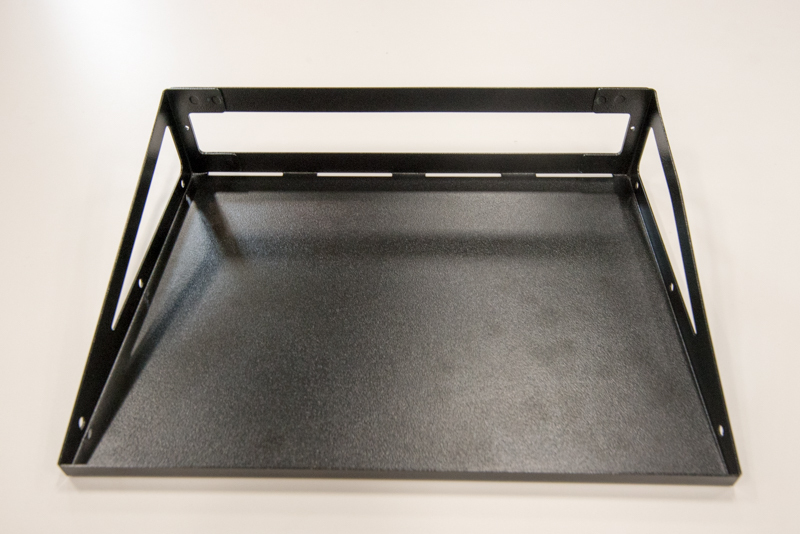 Fits on any Workplace Bin Panel as a tray or as a shelf. Click any photo on this page to download 800 pixel (long edge) jpeg image. 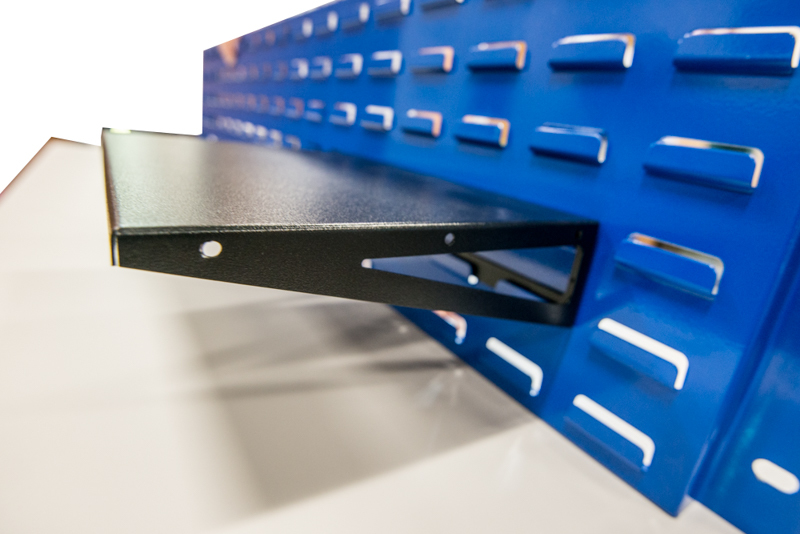 Bin Panel Shelf may be mounted with support flanges up or down.